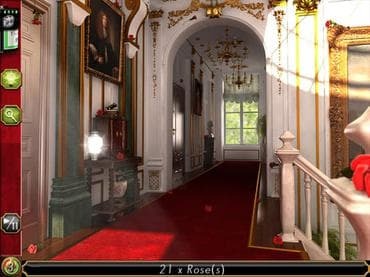 The Princess Case: A Royal Scoop is an intriguing puzzle game with the reporter Lois Wheeler right in the middle of a royal scandal. Your job as a reporter was the interview the newlyweds, but the princess has been kidnapped. Use your journalist detective skills to solve a range of puzzles from match 3 games to sliding blocks and more. An original storyline, beautiful graphics and intuitive gameplay are at the core what makes The Princess Case: A Royal Scoop is great casual puzzle adventure game. Find the hidden objects used in the kidnapping and beat the FBI before it is too late for the princess. If you have questions about The Princess Case game, please contact us using this form.